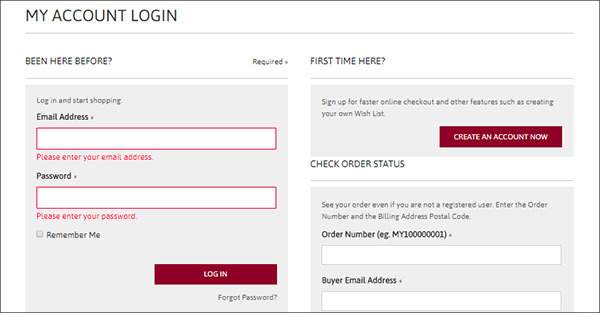 When you sign in, you can make purchases and check your order status. You must first register an account before you can proceed to sign in. STEP 1- Select LOG IN OR REGISTER at the top of the page. STEP 2 - Enter your registered Email Address and Password. This page stores your account details. You can sign out by clicking Logout.